Quantify the intensity of light and the angle between polarized filters. Students can investigate the relationship between the intensity of transmitted light and the angle of rotation of two polarizing filters. A graduated cartridge containing two polarizing filters allows students to observe the change in intensity as they are rotated relative to one another. 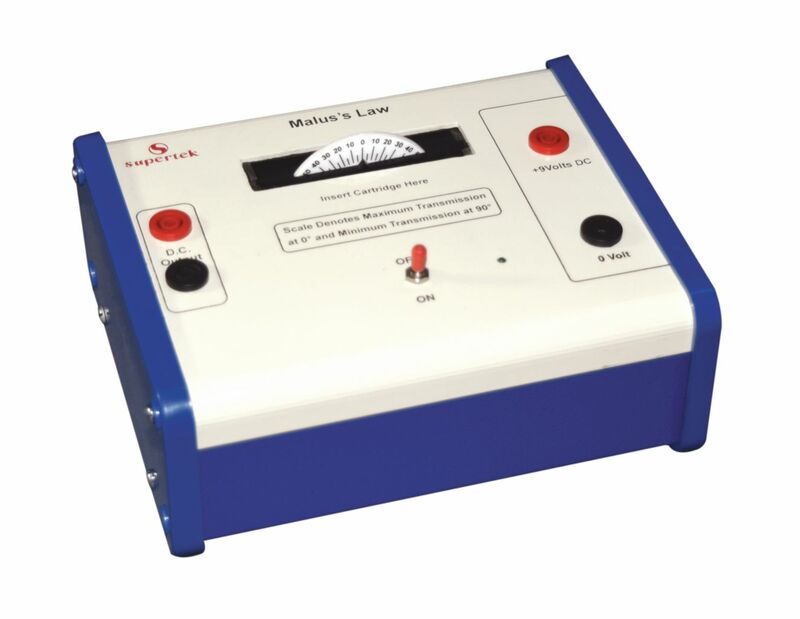 The analyzer allows quantitative readings to be taken using a voltmeter at five degree intervals as the polarizing filters are rotated from minimum to maximum transmission. The output from the analyzer changes linearly with light intensity and so the resulting data can be used to verify Malus Law. Required but not included is a 9V power supply and multimeter.